06 Alpharetta Fire Wins Again !! 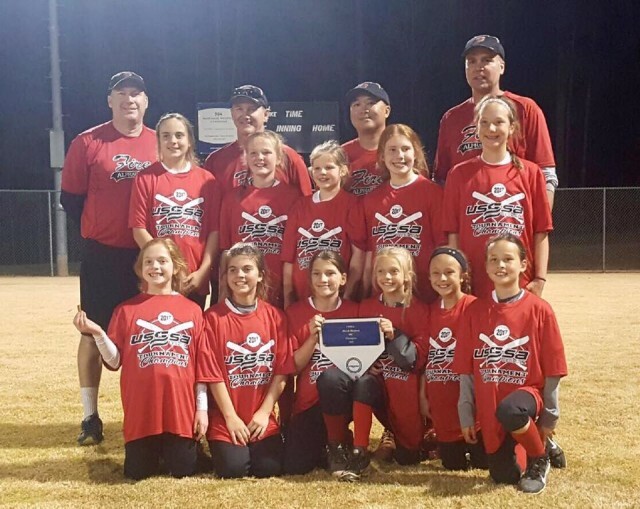 Updated Wednesday March 29, 2017 by Alpharetta Youth Softball Association (AYSA). The 06 Alpharette Fire won the USSSA March Madness tournament in Canton, GA on March 25th. The girls were 5-0 on the day. The 06 Fire is now 40-10 on the season...playing an A/B mix...and the 6th ranked B team in the country. Congratulations to these fantastic girls representing our park !! !